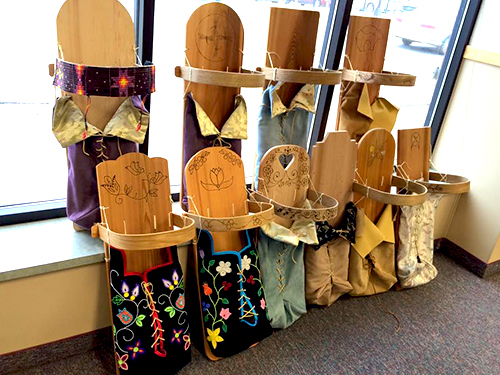 Lac Courte Oreilles, WI – Recent Ojibwe high school graduates carried shovels full of dirt from huge piles of excavated soil and poured them into screened boxes, then sifted the dirt onto the ground, revealing tiny objects left atop the screen. The young workers became excited as they gathered together to examine the little pieces of rusted metal, glass, rock, or bone fragment. Turning it around with their fingers, they brought it over to their foreman, Bob Sander, if it looked to be something of particular interest. Sander then checked it over with greater detail and sometimes placed it in a plastic baggie. One object he displayed was an etched deer knuckle bone that had been used in earlier centuries as a game of skill for young and old. The Ojibwe once referred to this game as Pepengunegun, a cup and needle game that required players to skillfully thread a bone needle through the thimble-like knuckle bone. “Our history is important; we have to uncover more of this before our history, or even this game, becomes lost,” stated Sander to emphasize the value of the excavation project. The workers were hired by the Lac Courte Oreilles tribe as a part of a project to investigate about fifty tons of excavated soil that had been dug up by heavy machinery for a water line project in the main village of Reserve. Jerry Smith, Ojibwe spiritual leader also serves as the tribal historic preservation officer for Lac Courte Oreilles. On May 1, he watched the machinery dig the trench for the new water line in the village of Reserve. After about thirty feet of work, the John Deere LC Excavator scooped up fragments of large bones and dumped them on the ground. Smith was there to spot them and report the findings to Bisonette. The project was stopped. Tribal police were required to first investigate the bones to determine whether they were human, recent, and if foul play was involved. Once they gave clearance, tribal officials conducted a NAGPRA search of the material unearthed. “There’s shallow graves all over the reservation,” stated Bisonette, as he explained the historic conditions that led to emergency burials of tribal people through the years. He described the early Twentieth Century flu epidemic that killed dozens of Ojibwe and left most villages without men to dig deep graves. The Tribal Council stopped the water line project and then hired youth workers to dig and sift through the excavated soil as a plan to ensure that it will not disturb human remains at this site or in future sites. NAGPRA is a federal law, passed in 1990, that requires companies doing excavation work to follow a procedure for the treatment of unearthed human remains or objects of cultural value. Bisonette explained that tribal policy over this matter follows “custom law,” a procedure that requires spiritual leaders to rebury the remains or funeral artifacts uncovered by accident. Rebecca Nickence described how she volunteered as an archeology assistant on the project. “I was working at the Reserve Elderly Center as a volunteer, so I volunteered to work out here,” she stated, as she pointed her hand toward the sifting area. “I’m learning a lot about our tribal history from Jerry and Bob,” she continued, as she described how the dig site has revealed more about Lac Courte Oreilles history. Thomas Smith is a younger relative of Jerry Smith and follows the history lessons that are being provided on site by the elder tribal historic preservation officer. Both teens indicated they would like to go on to school to study archeology. They described the connection between the layers of earth that were uncovered to the eras of tribal history that have been taught by Jerry Smith. 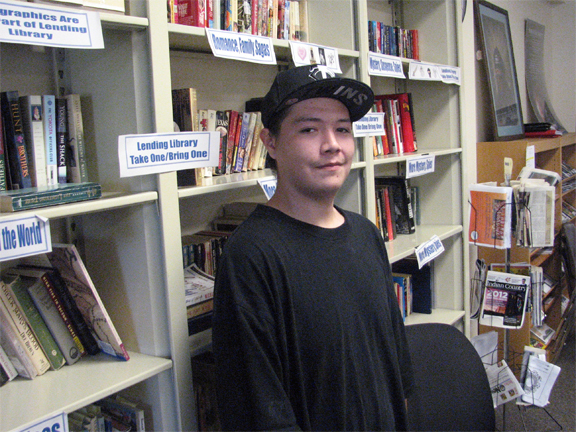 Mark St. Germaine, Lac Courte Oreilles Ojibwe, will be a sophomore in high school at Eau Claire Memorial. He can be contacted at stgermrd@aol.com. Next articleNever knew I was Native….